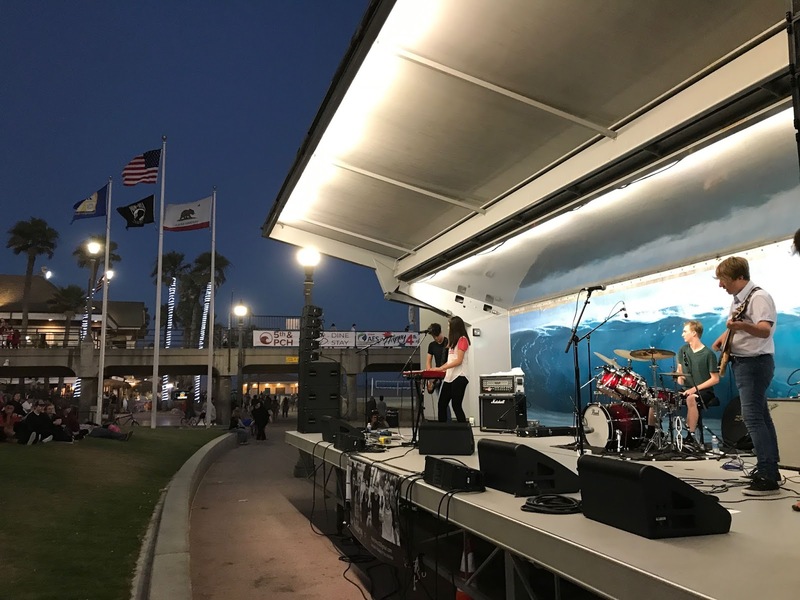 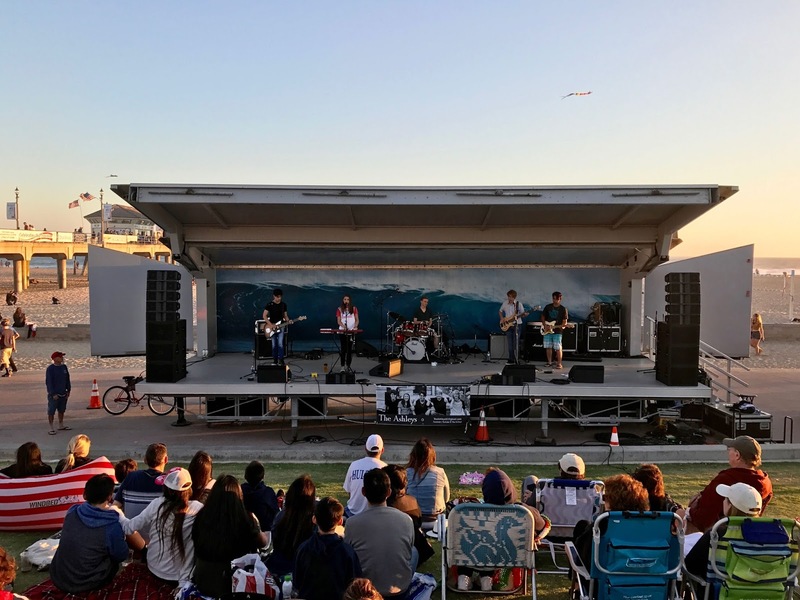 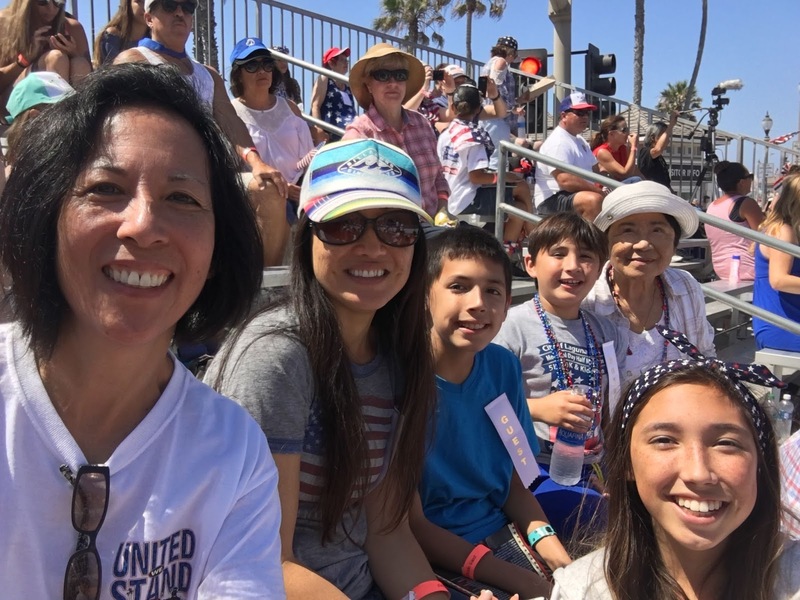 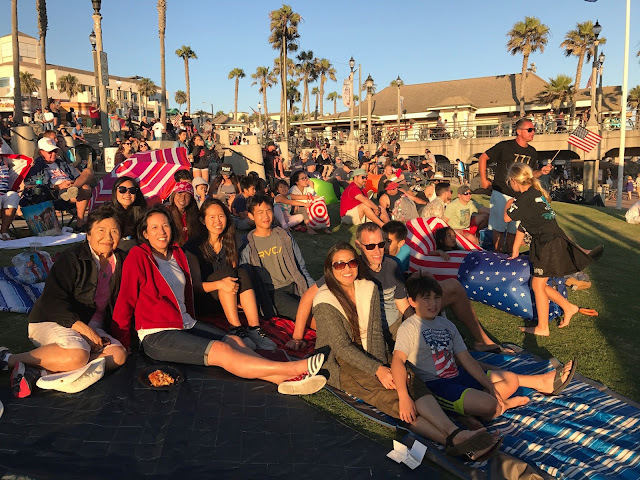 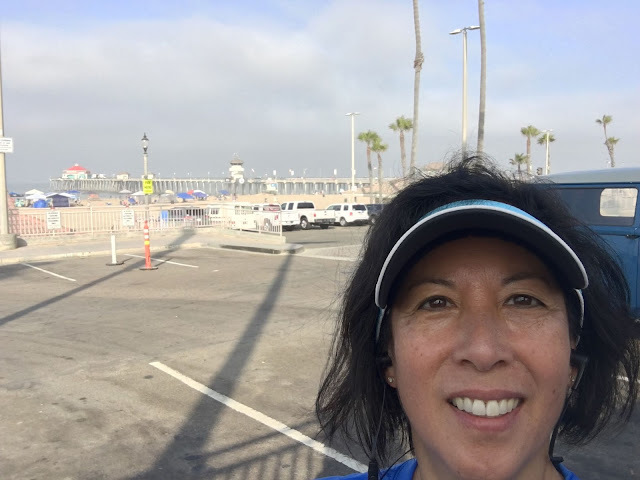 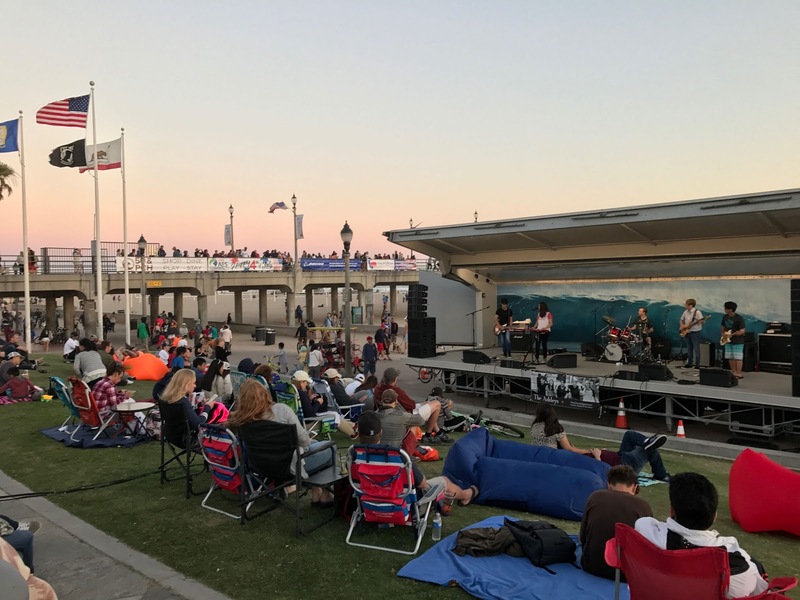 On Monday, July 3, we all gathered at the Huntington Beach Pier to watch my iece, Hanna Eyre, and her band perform at the seaside amphitheater! 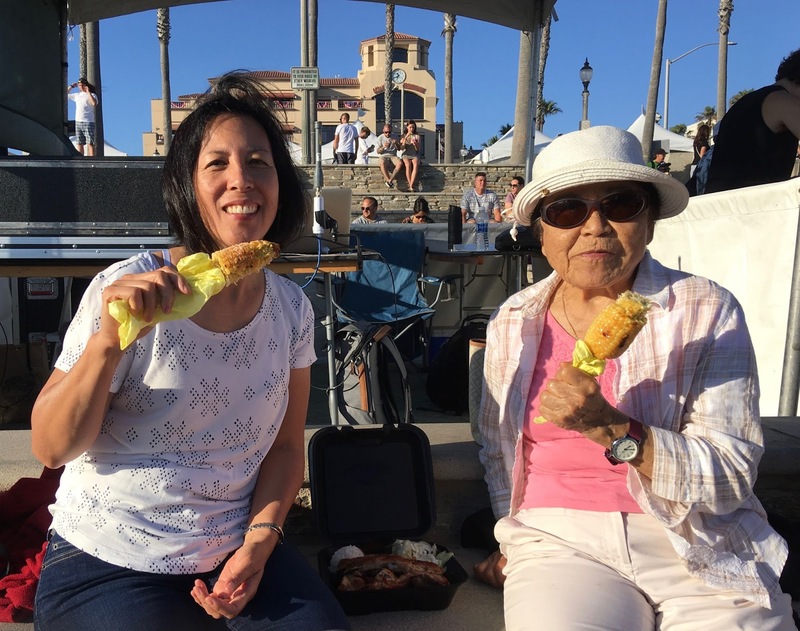 Mmmmm...enjoying Hawaiian BBQ and roasted corn with Sister Chao! She sang "Blank Space" from her Voice audition as well as several songs she composed. The band is named after Mr. Ashley (below right), who is the mentor/instructor of these talented students of the Orange County School of the Arts high school. People on the pier were drawn in to the music! 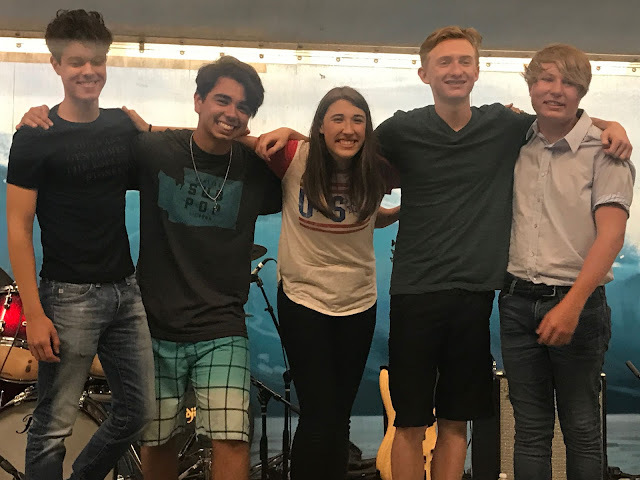 Meet the band...they put on such a great performance! 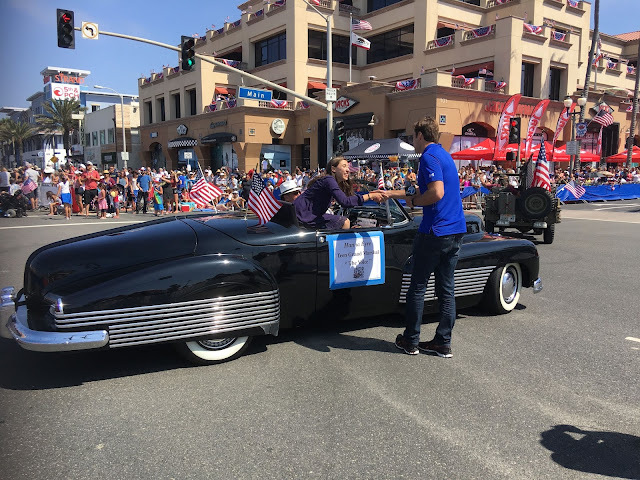 Took this pic for President! 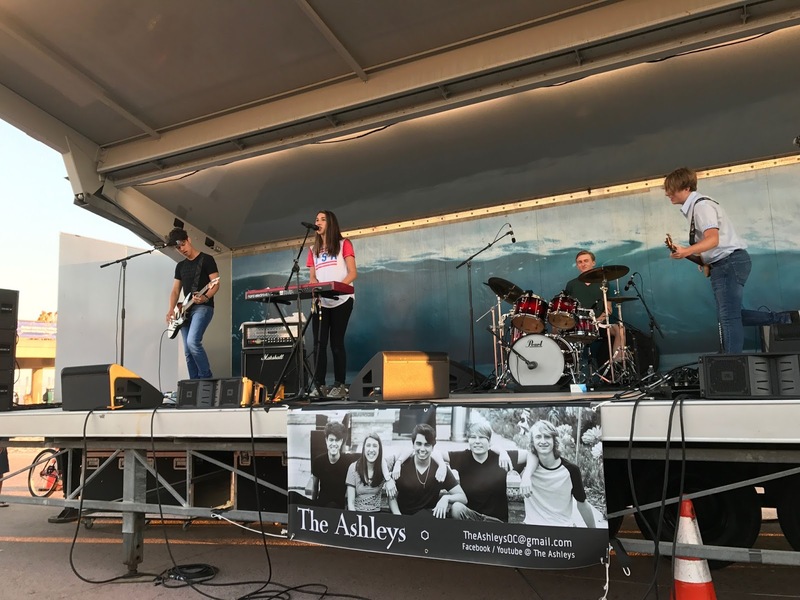 Are you wondering what this post has to do with missionary work? 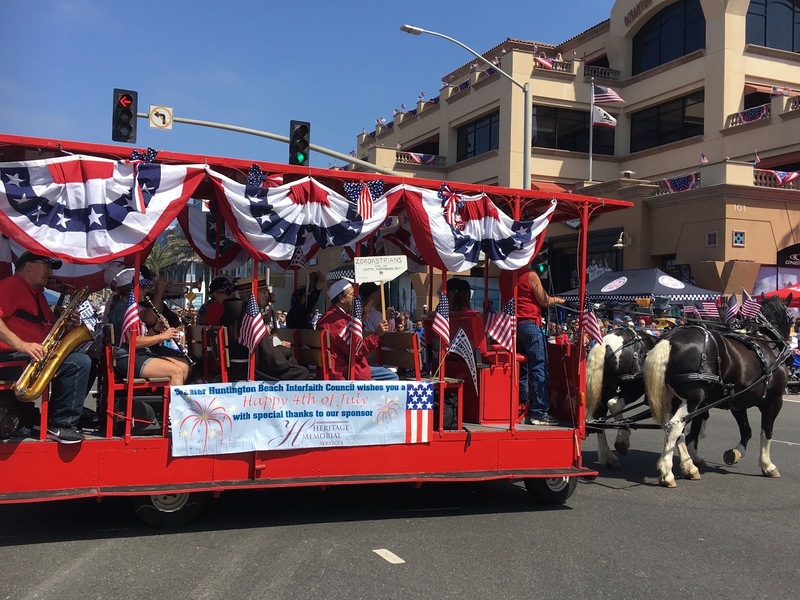 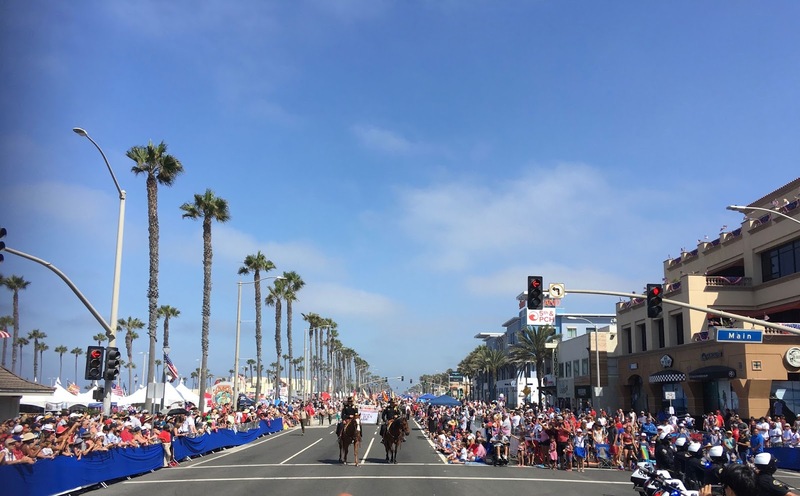 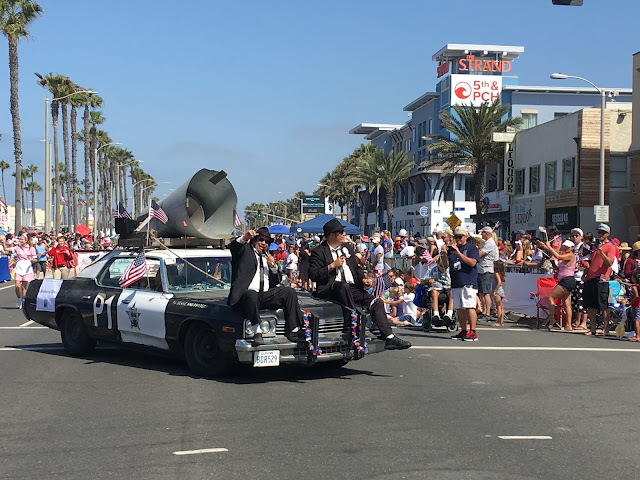 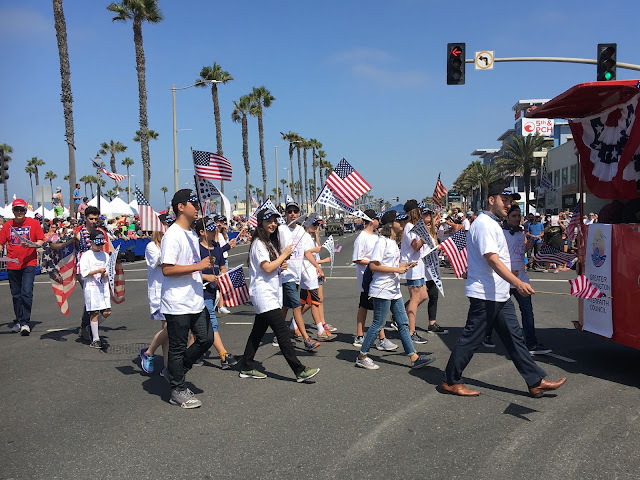 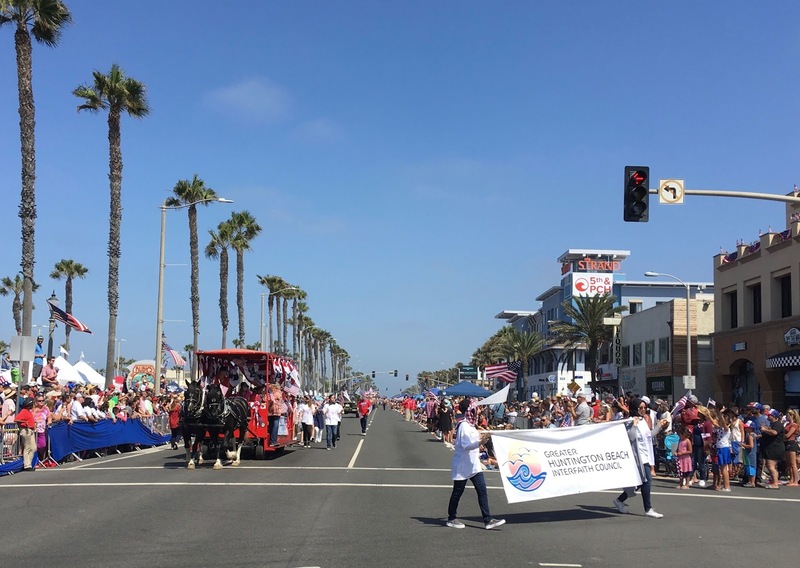 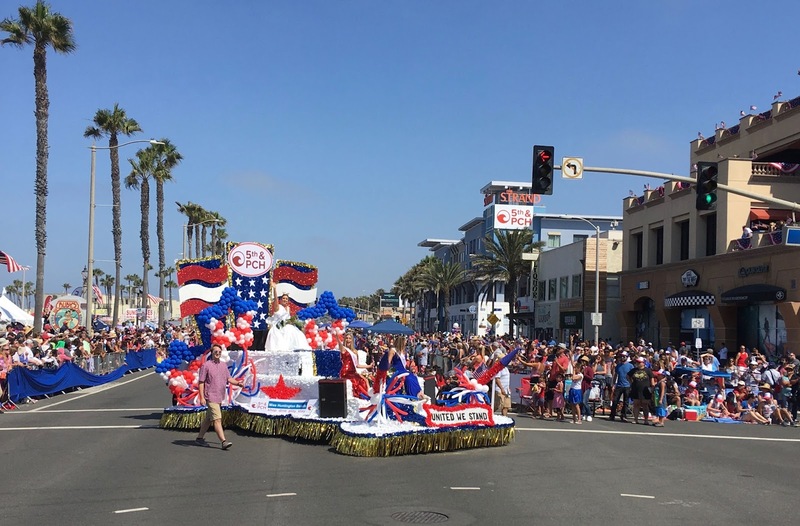 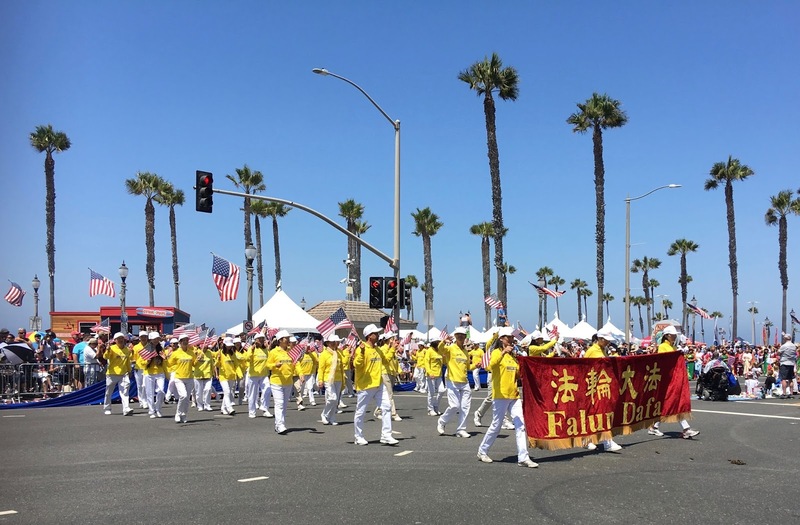 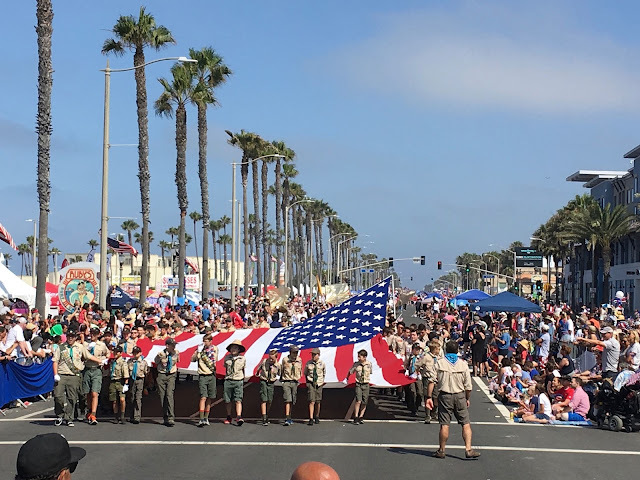 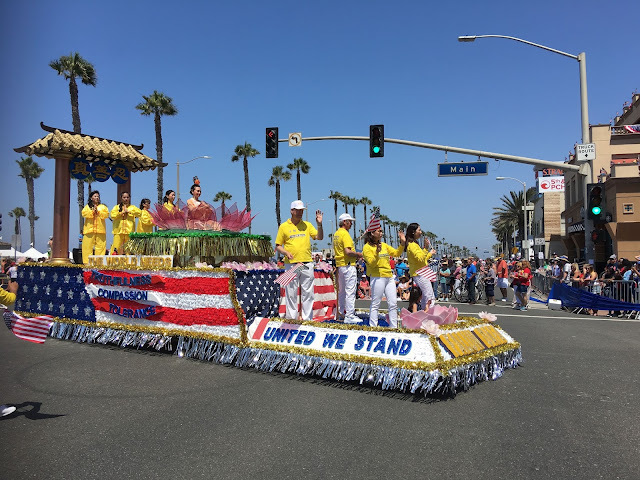 I was so inspired by this parade entry sponsored by the Greater Huntington Beach Interfaith Council! Faith and patriotism go hand in hand! 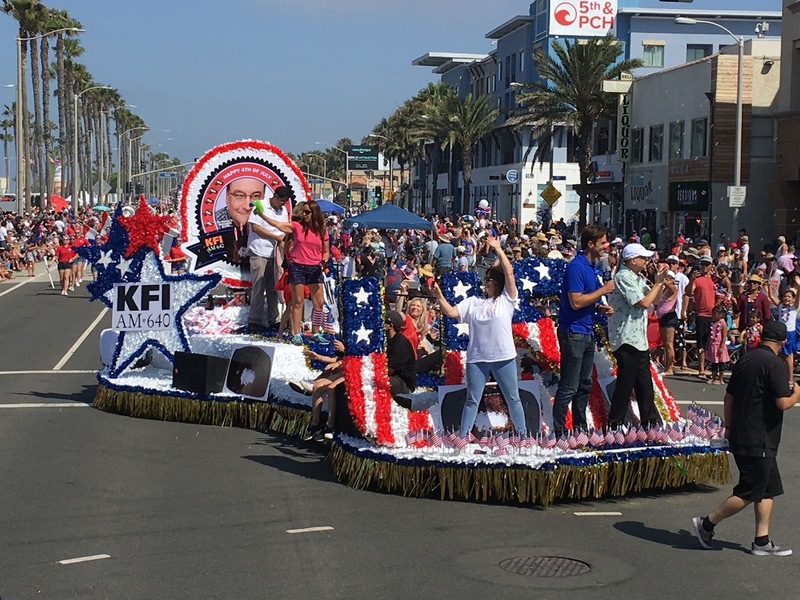 I hope to be doing this next year with our Ventura County Interfaith Council members! 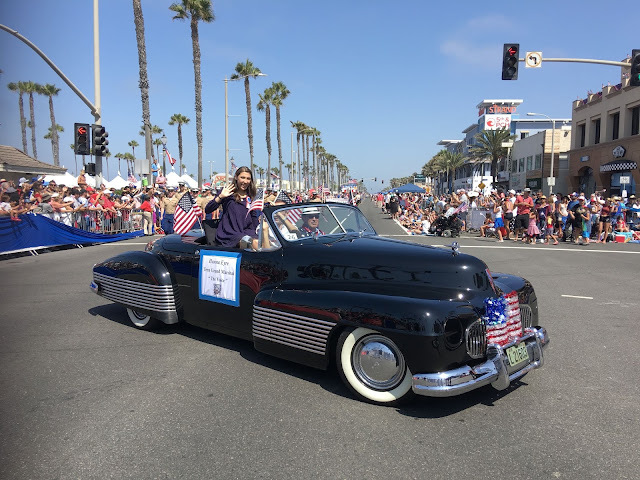 Teen Grand Marshall Hanna riding in a 1938 Buick Concept car, one of only two restorations in the world! 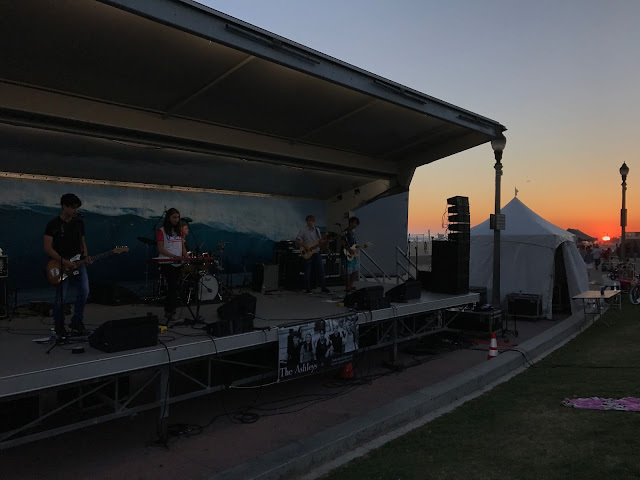 So much fun to watch from the VIP stand! 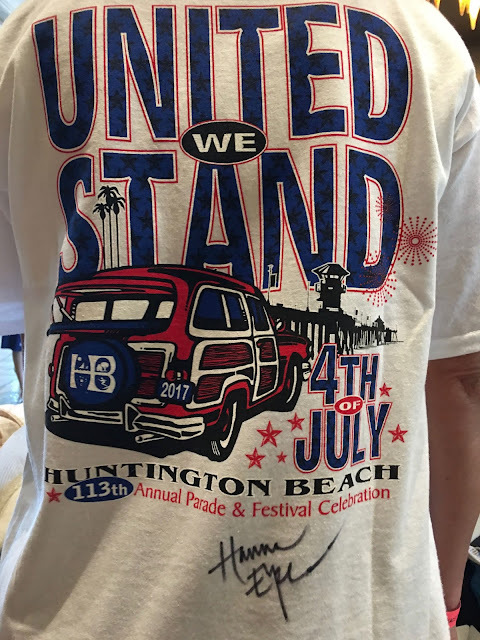 Here is my alma mater...Huntington Beach High School! 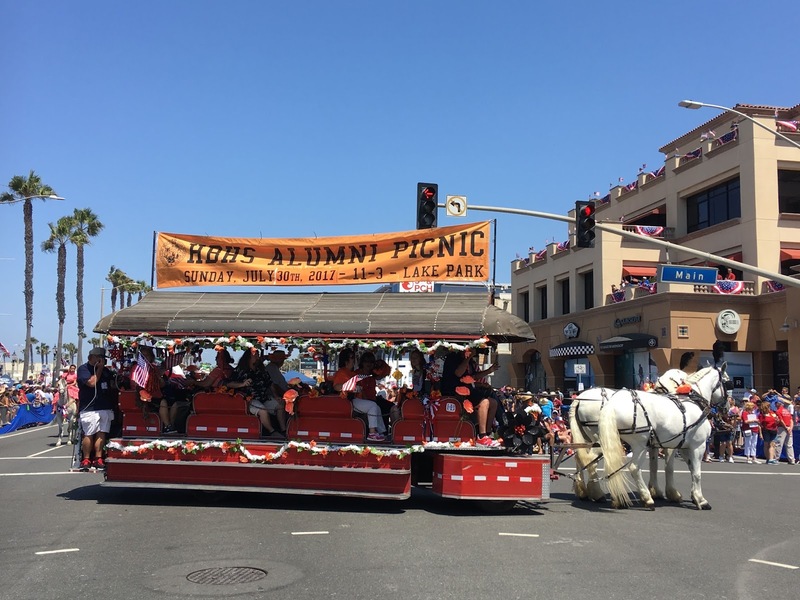 I'll be attending my 40th high school reunion later this month! 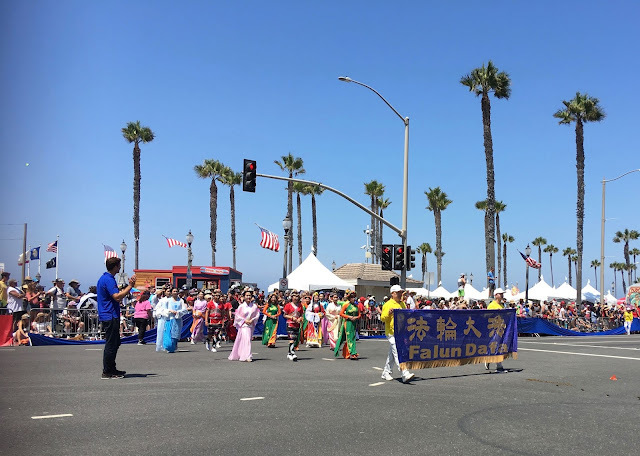 Oh my gosh...I feel like I'm back in Taiwan! At the Formosan Aboriginal Cultural Village at Sun Moon Lake! 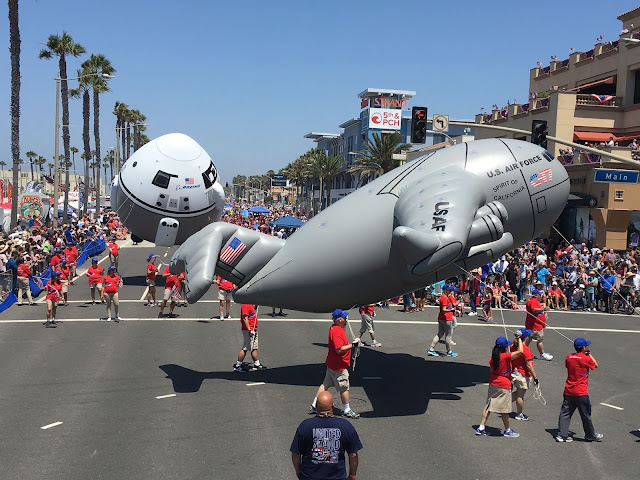 Sister Chao was especially proud of this entry by Boeing, where Brother Chao retired after over 20 years in the aerospace field. An awesome Independence Day, made even more memorable by Hanna! 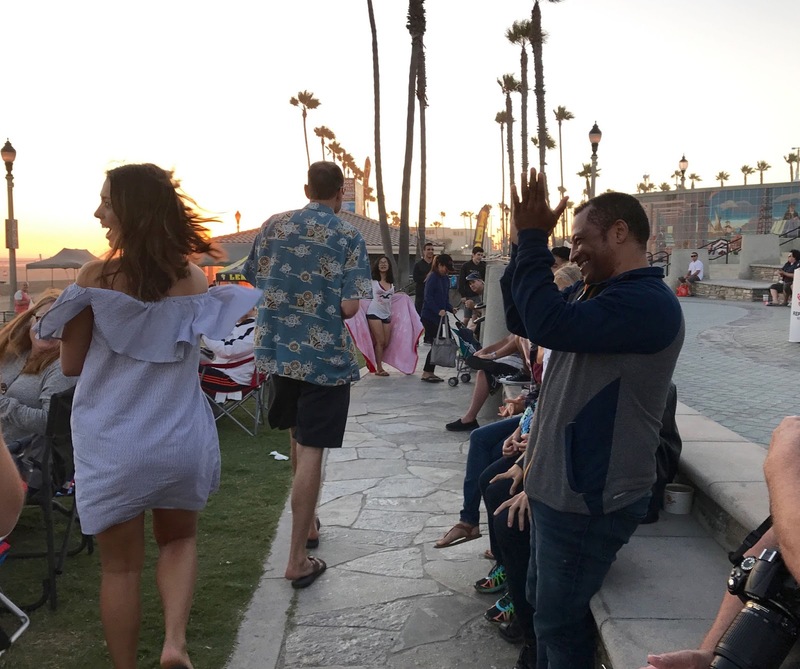 7-2017 Wedding Season is in Full Swing!